9am, Saturday 16 March 2019, from the Recreation Pavilion, Girton, Cambridge (next to the church). 110km, 12.5 to 30kph (3h22m to 8h05m). 900m of climbing. Early spring is one of the most exciting times to ride a bike — everything's just beginning to bounce back into life and there's earnestness in the air for the business of living to get underway again. No matter the excuse, it feels so good be back on the bike after the winter! A few months of winter, our legs have atrophied and distances seem far greater than they did at the end of summer. 100km is a long way, but only if you're unused to the distance — it's only just over 60 miles. If you're looking for an easy first audax, or if you're not ready for a 200, or if you prefer to think of it as an organised Saturday Club Run, or if you simply don't have time to ride the full Pork Pie, then this is the ride for you: a fun route of three parts, easy navigation, great scenery, two pubs (although only one this year), cake at the finish, what's not to like?! Also, this route is fixed-friendly: the climbs are gradual and easily rideable on 72-inches — it's an ideal test event if you're looking to try riding fixed-gear over longer distances. We've posted a report from our side from last year here (clickety). Starting from Girton on the northern edge of Cambridge the ride heads south on quiet C roads to Duxford and Ickleton, where it starts to climb the Chilterns-chalk hill to Elmdon. Some elevated fun across the ridgeline past the highest points in both Cambridge (Great Chishill) and Essex (Chishill Common) before coffee-time at Meesden Village Hall. 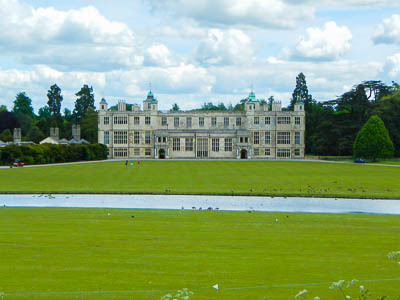 The route then heads cross-country thru classic cycling territory through picturesque country villages to the beautiful English Heritage house at Audley End and into the historic centre of Saffron Walden, where there's the opportunity to stop for coffee at Bicicletta café con velo. The route continues with a few lumps and bumps — nothing that should worry any but the pure-bred flatlander, and even then nothing that should need to be walked — through big-skies territory and some interesting quick descents on minor B-roads and lanes to the historic White Horse Inn at Withersfield. 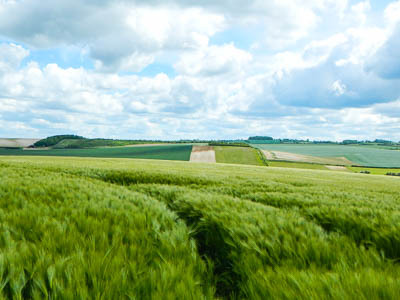 The final leg heads up-and-over to Balsham thru more wide, rolling fields to a long, gentle 8km descent to Fulbourn and back through Cambridge city centre to the arrivée in Girton where there will be tea and cake of the homemade variety (included in the entry price). The roads are likely to be clear most of the way, however mudguards are still recommended in heavy weather for the benefit of our friendly pubs and their clientèle, as well as riders trying to stick to your wheel. The route can be damp in places and therefore mudguards are recommended for the benefit of café proprietors and other riders – and us cleaning up the pavilion afterwards. This is a semi-x-rated event — you must get two proofs-of-passage – receipts or stamp-marks – one from us at Meesden Village Hall and one from White Horse Inn public houses. If using the provided stamps, please mark your time on the brevet, too. Start and finish at the Recreation Pavilion in Girton, Cambridge CB3 0FH, next to the church. The event starts from the Recreation Pavilion in Girton, where we'll provide tea and biscuits before you set off. We'll open up from about 7.15am for The Pork Pie-ers and remain open until The Spring Dashers have left. There are toilets and changing facilities. There is a large, free car park, although hopefully you'll be cycling to the start. This year, unfortunately, The Tally Ho in Barkway are not able to accommodate us, but they are looking forward to seeing everyone again next year. Due to the reassignment of the first control, there is no info control this year, just a village hall and a pub. The first control this year is at Meesden Village Hall, a small but perfectly formed oasis in the surrounding chalk hills, where we'll top you up with one more coffee and something to nibble on. And a stamp in your brevet. The second control is The White Horse Inn in Withersfield near Haverhill. Recently returned to its former glory as a well-established and much-loved country pub (it was briefly renamed Bradman's), this traditional hostelry serves fine beers and has a good lunchtime menu and they're looking forward to meeting you. You will probably arrive around 1pm, perfect timing for some chips or a sandwich, or something more substantial. There will be a manned arrivée, and first control, but the second control is commercial and you'll have to get proofs-of-passage — a receipt or stamp-mark — at The White Horse Inn in Withersfield. There will be ink-stamps or stickers at the pub or you can request a receipt — please mark your time next to the stamp-mark on your brevet. Toilets are available at the start/finish and opposite Bicicletta in Saffron Walden (these are somewhat posh for public loos!). The routesheet and GPS files were checked on 27 January 2018, but the changes for this year haven't been checked yet. The GPS files were exported from this page on RideWithGPS. Hopefully you live close enough to cycle to the start. Cambridge is well-served by train and you should be able to catch the 06.44 from King's Cross, London, and arrive just about in time for the start — don’t worry if you’re a few minutes late to the start, we will still be there for the start of the 100km event. It’s an easy 7km ride from the station to the start through the historic centre of Cambridge — routesheet | GPX | TCX — if you use these instructions, continue past the Co-op to the start on RHS in 1km next to the church. If you intend to drive, aim for St Andrews Church on Cambridge Road, CB3 0FH. The Parish Council has let us use Ten Acre Field for parking once again. We have been asked to keep the front car park clear during the day as this is a active and busy Rec on Saturdays, so you will be directed to the field by a volunteer. Wherever you park, please park considerately. Due to the large numbers of entrants, if you could ride to the start instead of driving, that would be an great help! Light refreshments will be available before the start from about 8am. There will be hot’n’cold refreshments and cake at the finish. All refreshments at the start/finish are included in the entry fee. The arrivée will be manned, so we will collect your brevet from you on completion, along with two stamp marks or receipts. Please remember to sign your brevet before handing it in!